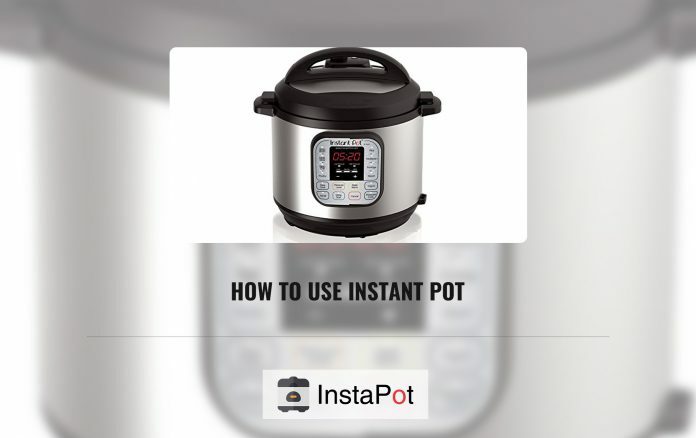 How to Use Instapot: Have you purchased a new Instapot? If yes, then you have reached the right place. The flexibility of an Instapot makes it a very essential instrument for a kitchen. However, if you are new to the Instapot, then you may face difficulty in operating it. In order to resolve your issue, here we will provide you complete details about How to use an Instapot. Before diving deep into how to use Instapot, you should know which different functions it can perform. Instapot is useful as a pressure cooker, rice cooker, yogurt maker, egg boiler, cake maker and much more. The most common function of an Instant Pot ULTRA is pressure cooking. The pressure makes an Instapot and amazing cooking machine. But what do you mean by Pressure Cooking? It is a food-preparation process which seals the food inside of a vessel along with the liquid, with the help of heat to create steam, which again raises the pressure in the vessel. The cooker than releases steam in order to control the level of pressure. With the increase in the pressure, the boiling point of liquid increases, which allows you to cook faster. How to use the settings in Instapot? The front of an Instapot is somewhat complex, it consists of different buttons functioning differently. However, as soon as you get familiar with these buttons, you will be able to operate it easily. Primarily, each button is used for the different cooking method, and it has a planned cook time and pressure setting in order to provide the best service. In Pressure cooking setting, you will view a column indicating “high”, “low” and “normal”. Here, high-pressure cooking denotes that device is cooking at a high pressure, and the lid is closed to keep the pressure trapped. A low pressure denotes that the device is still pressure-cooking. Lastly, a normal setting denotes that the device is working as a slow cooker and it is not sealed or using pressure. Instapot provides two ways of releasing pressure: the natural method and the quick release method. In Natural release method, the pressure slowly disperses on its own, depressurizing as heat get released from the metal parts of the cover. Depressurization will take about 10-30 minutes on the basis of the liquids you have inputted in the pot. Here, recipes with more liquid will take more time compared to recipes with less liquid. Any dishes with more liquid are left in the natural release method. In order to increase the speed, you can keep a cold towel on the metal portion of the lid to help the device to cool down fast. To use the quick release method, you have to manually switch on the steam release valve to the “venting” position. This method cools down the cooker quickly and also depressurize it within 1 to 2 minutes. This method works well for cooking foods like salmon and crab. But, please note that it is not recommended for cooking recipes with high starch content because it will then result in food boiling out from the handle. It is very much important to wait till the steam has been completely released from the Instant Pot before taking off the lid. How to clean an Instant Pot? To maintain an Instant Pot is really easy as compared to any of the other Kitchen gadgets. For cleaning, you have to first of all wash the inner part and wipe down the exterior housing unit. However, please note that sometimes your device will not work properly, hence this is the time your instant pot will need deeper clean. Also, remove the silicon sealing ring in order to be free from dirt and other particles. Also, clean all the other important parts such as a handle, Shield, and Valve. Now, we have provided all the important details about Instant Pot. You will be able to use Instapot easily. If you found this information helpful, then please share it with your friends and followers.